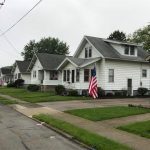 The Optimist Club of Van Wert is proud to bring you the Avenue of Flags program. It is our goal to show our national pride and appreciation for those who have served, while also raising funds for our area youth programs. Will you join us by participating in this exciting program? 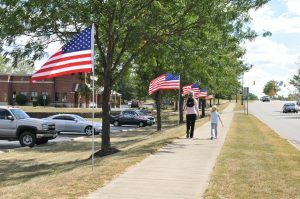 We invite you to participate in our patriotic community service program and fundraiser called the Avenue of Flags. It is a wonderful way to honor our troops and help us support our youth programs and activities. 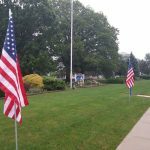 For $50/yr we deliver and place your flag prior to each holiday and retrieve after the holiday. 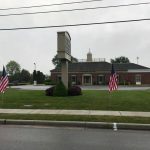 address, you receive $10.00 discount per flag! Remember, the Optimist Club of Van Wert is responsible for replacement of the flag and proper storage after the flags have been retrieved.